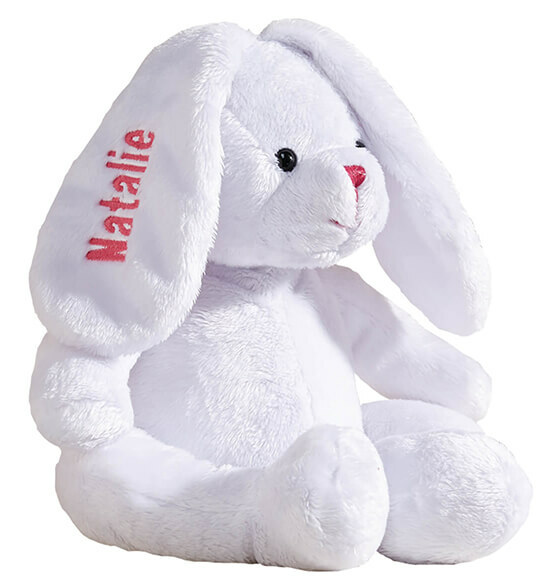 Destined for cuddling on Easter and long after, our soft, personalized plush Easter bunny will be there for tea parties, tummy aches, walks in the wagon, rides in the car and much more. 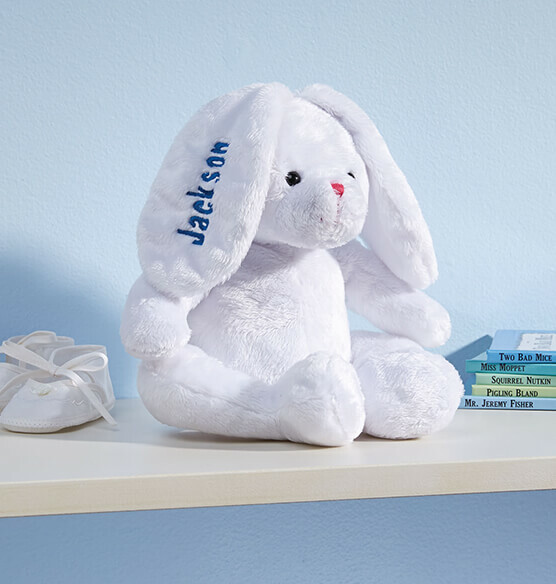 This personalized Easter bunny will be a childhood keepsake to cherish for years, arriving personalized for "somebunny" special—beautifully embroidered with any child's name. Specify embroidery color on plush East bunny: pink or blue. Specify name; limit one line, 10 letters/spaces. Polyester, cotton; machine wash. Approx. 8" wide x 8" high with 6" long ears.